As the world’s first and most-produced supersonic trainer, it will be safe to say that the Northrop T-38 Talon has played a great role in training most of USAF’s pilots. Besides its principal operator, the US Naval Test Pilot School, this two-seat twin-engine jet trainer is also employed by NASA in training astronauts and in chasing planes on programs like the space shuttle. One of Talon’s variants, the T-38C, isused by the Air Education and Training Command (AETC) in preparing pilots for other aircraft. The AETC’s Talon T-38 C models received propulsion modernization to enhance the aircraft’s reliability and sustainability as well as engine inlet/injector modification, which is aimed to improve takeoff thrust. Such upgrades are expected to extend the service life of these T-38 jet aircrafts past 2020. 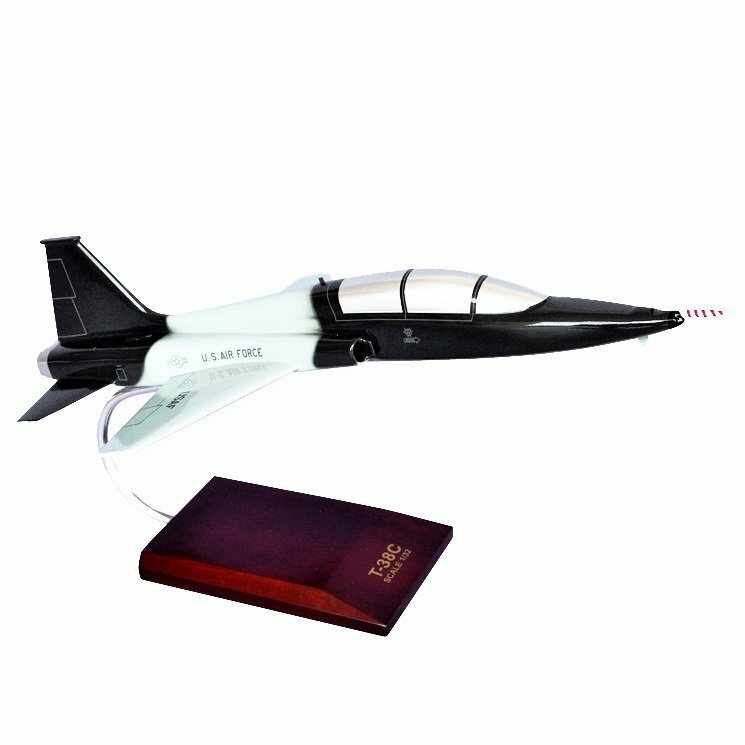 Pay tribute to this legendary USAF and NASA supersonic trainer jet plane by getting this museum-quality aircraft replica. This is a faithful representation of the original, so it makes for a perfect gift to an active or retired pilot or USAF/NASA crew or to anyone who loves all things aviation. Get this model now and be one of the few who have this one-of-a-kind collectible.